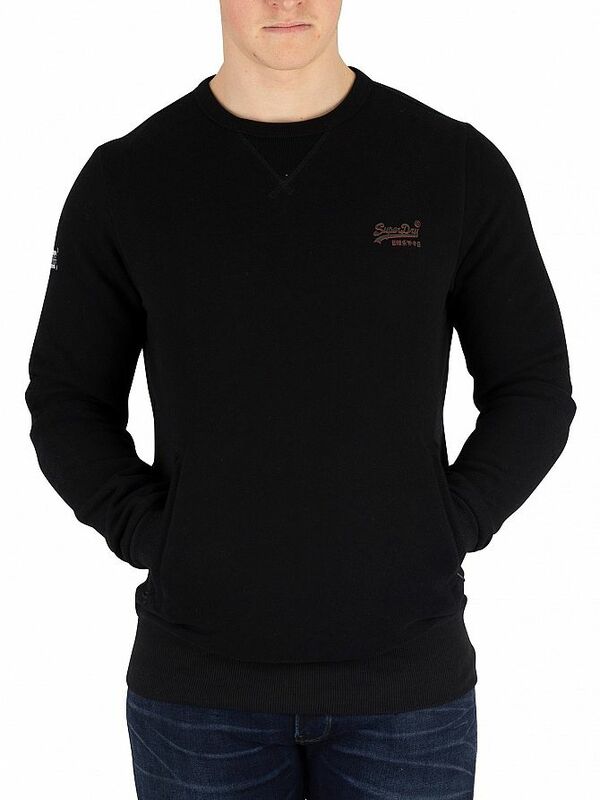 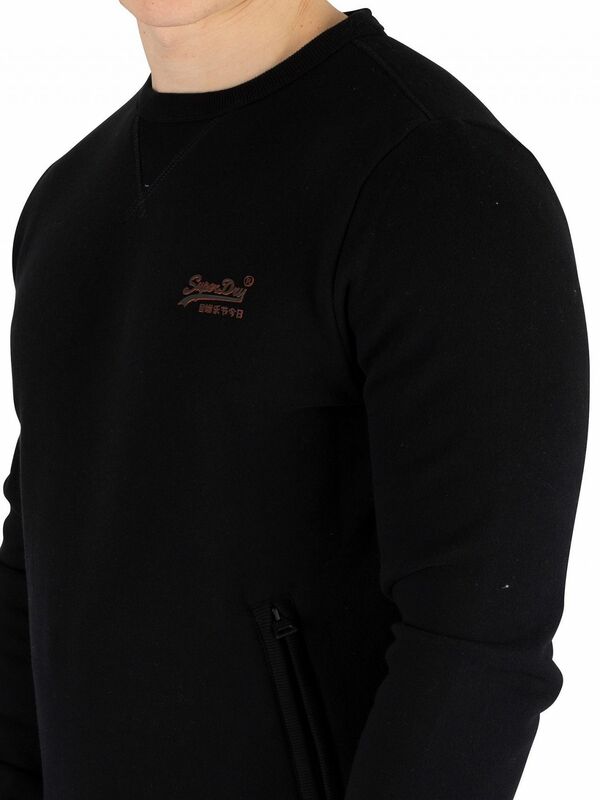 The Orange Label Urban Sweatshirt from Superdry comes in Black colour, featuring a rubber logo on chest. 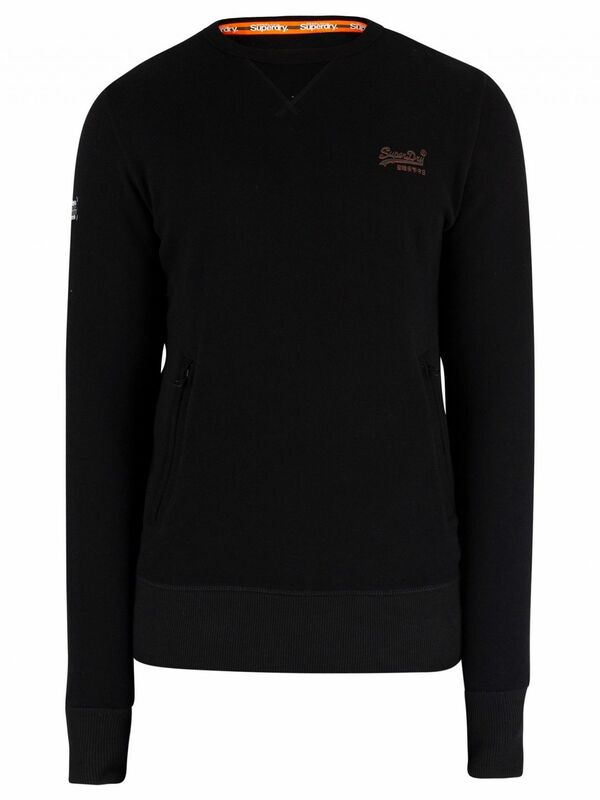 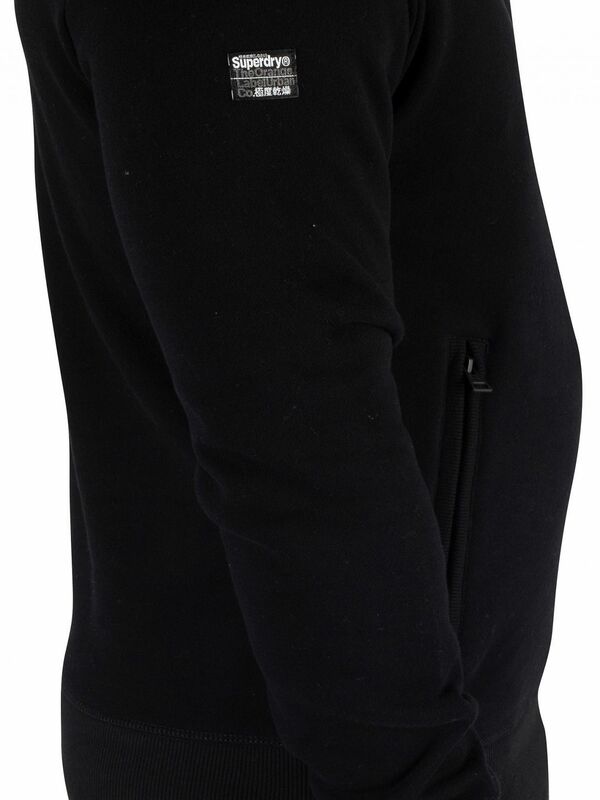 Along with zip pockets, this sweatshirt also sports a branded badge on sleeve. 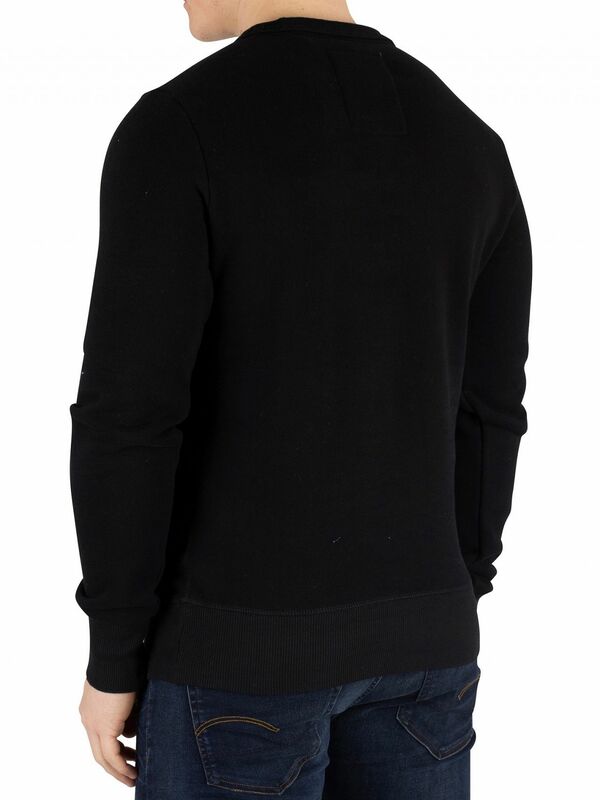 Coming with elasticated cuffs and hem and a branded tag on hem, this sweatshirt features a crew neck with V-shape design.